In 1889 the Mercer County Mission was established—what today we would call a “cluster” or “cooperative ministry.” This mission was headed by the Rev. Charles Gauss and was comprised of three churches: Princeton, Bramwell, and Bluefield. Each parish meet in homes or businesses until they could manage buildings of their own. Although the parishes located in Princeton and Bramwell were older (having been meeting for Morning Prayer, periodic communion when a traveling minister could be found, and at least two visits by Bishop Peterkin since at the early 1880’s), Bluefield’s new congregation was the first to secure a lot for a building and the first to send a representative to Diocesan Convention. 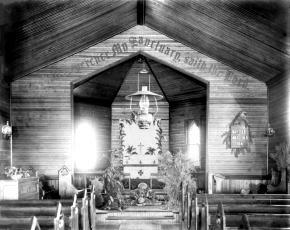 At convention in 1889, held in Shepherdstown, Christ Church was admitted as a mission church of the Diocese (meaning that the parish was free standing, but still relied on financial support from the Diocese). The following year, at Convention in Charleston, Christ Church (then known as the Church of the Incarnation) was admitted as a full parish, no longer needing Diocesan support. Bramwell and Princeton would be admitted as the same the following year, in 1891. The Rev. William H. Burkhart was the first Rector at the church. 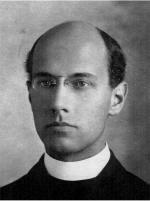 He held his first service in Bluefield at 3:00 p.m., February 15, 1891. The first entry in the register was of a baptism on August 2, 1891, and of a confirmation, July 23, 1891. Mr. Burkhart was followed in February, 1894, by the Rev. John S. Lightbourne, an English Bermudan. His energetic work, greatly assisted by his ability as a musician, was cut short by his removal in May to go to the Bermudas. When in June 1894, the Rev. Norman Fitzhugh Marshall took charge of Bluefield, Mr. Lightbourne had reported the name of the church as "Christ Church." From 1894 to 1897 the list of communicants increased from 36 to 54. The present church was constructed 30 years after that day in 1891 when the first church was dedicated. A devastating fire on Christmas Day 1919 destroyed the original wooden church. The church burned shortly after the morning service that day, when the parishioners were at home, enjoying Christmas. The cornerstone for the present building was laid on Sunday, December 26, 1920, and it was completed before the next Christmas. It was dedicated on October 23, 1921, by Episcopal Bishop W. L. Gravatt, with clergy E. W. Hughes of Graham (now Bluefield, VA) and Rector Jennings Wise Hobson assisting. The church debt was liquidated on schedule at the annual Congregational meeting in January 1944, according to the original 20 year plan, 1924-1944. The Rt. Rev. Robert E. L. Strider was bishop and The Rev. Jennings W. Hobson was still rector. Bishop Strider visited on June 25, 1944 and consecrated the church, leaving an official signed document which is still displayed in Hobson Library. As the congregation grew, the need for additional space became evident. 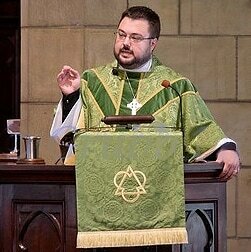 Under the leadership of the Rev. 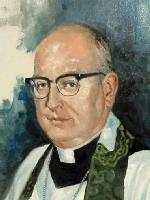 Frank Rowley, the campaign for the new Parish House addition was launched in the mid-1950's. The addition, as was the 1921 church, was designed by Bluefield architect Alex B. Mahood, and was painstakingly planned to match the older church in architectural style and building materials. A beautiful new administrative wing, library, and educational addition were included in the new Parish Hall addition. The newest addition to Christ Church was completed on March 9, 1958, and was dedicated on March 30, 1958, by the Rt. Rev. Wilburn Campbell, the fourth Bishop of West Virginia. Among many other achievements, it was during Rowley's time that the outreach program toward neighbors living in the church's immediate area had its beginnings. This social concern and responsibility continue today for those in need. In 1979 the Rev. Margaret Phillimore, one of the first women ordained to the priesthood in the Diocese of West Virginia, served as interim rector of the parish. 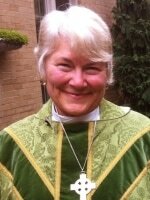 The first woman to serve as rector was the Rev. Elizabeth Morgan, who served from 2000 until 2005. 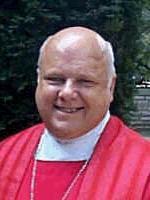 Eight members of Christ Episcopal Church have gone on to ordained ministry—two have become bishops of the church. Throughout its history, the people of Christ Church, ordained or not, have been major figures in the Bluefield community and beyond. Among the church’s most prominent members has been John Forbes Nash, Jr., Nobel Laureate whose life was chronicled in the move "A Beautiful Mind." This information was compiled from works by the Rev. Chad Slater, Don Williams, and the late Clifford B. Sykes. The Rev. William Hullihen Burkhardt, B.D., D.D. The Rev. John Smith Lightbourne, B.D. The Rev. Norman Fitzhugh Marshall, B.D. The Rev. E.H. Bresius, B.D. The Rev. Richard Watkins Trapnell, B.D. The Rev. Edwy Guthrie Pitblado, B.D. The Rev. Thomas W. Baker, Jr., B.D. The Rev. 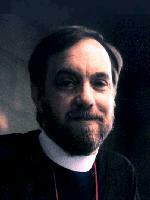 Robert Aulton Goodrich, Jr. M.Div. The Very Rev. Mamie Elizabeth Wilson Morgan, M.Div. The Very Rev. 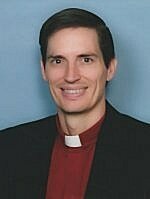 Michael Ellsworth Snider II, M.Div. The Rev. 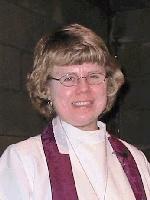 Mary Lou Mannschreck, M.Div. The Rev. Chadwick Michael Slater, M.Div.